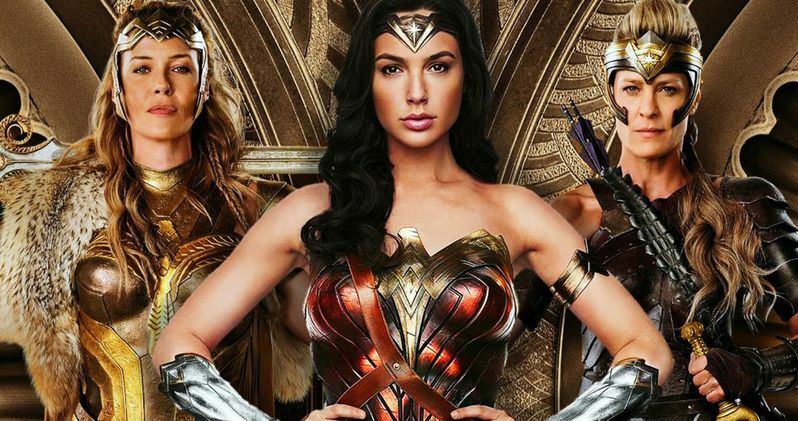 Wonder Woman 1984 producer Charles Roven recently explained why the release date was pushed back. The highly anticipated sequel went into production in the spring of 2018, which lasted until December. A small amount of footage was shown off at last summer's San Diego Comic-Con, but the general public has yet to see anything from the highly anticipated sequel, save for a few official images released by director Patty Jenkins. When Wonder Woman 1984 was first officially announced, it was set to release in November, but the movie was pushed back to a summer 2020 release date. The Wonder Woman 1984 2019 release date always felt like it was too soon. After the first installment, Patty Jenkins went right to work on TNT's I Am the Night and pretty much dove straight into the sequel for a marathon production schedule. With that being said, Jenkins always had her eyes set on the later summer release date. Producer Charles Roven recently explained exactly why the release date changed. He had this to say. "We always wanted the date that we are on right now. The studio felt that until their slate for the year before came together-and they had an amazing end of 2018-that they needed to have a big what I call aircraft carrier, a 'tentpole', in (2019). We had a very rushed pre-production because Patty also did the TNT show and we had a very rushed post-production schedule in order to make the date that we were on, which was November 1, 2019. We were doing it because the studio said they really needed it, and then at a certain point they came to us and they said, 'You know what, you guys are right. Let's go back to the month that you guys released Wonder Woman 1 in, and take the extra time.'" It sounds like the later release date works better for Wonder Woman 1984, especially for director Patty Jenkins. The later release date dropped in the middle of production, so she was able to space things out and breathe for a bit before rushing anything out. Plus, Jenkins has a lot more time to edit the highly anticipated DC sequel with the later release date, even though the studio would probably have preferred the earlier release date. Wonder Woman 1984 started production in the Virginia area and leaked set photos and videos instantly started to hit the internet. To combat this, Patty Jenkins and star Gal Gadot released official behind-the-scenes images before production actually started, which revealed that Chris Pine was back as Steve Trevor. It is still unknown how Trevor is back with the group since he didn't make it out of the first installment alive. Gadot, Jenkins, and Pine have been very quiet about the details surrounding Trevor's return. While production on Wonder Woman 1984 has officially wrapped, we probably won't see the first footage until the end of this year at the earliest. While that may come as a disappointment to some DC fans, it should be excepted since it allows Patty Jenkins more time to craft the sequel in the way that she envisions it. The interview with Wonder Woman 1984 producer Charles Roven was originally conducted by Collider. Wonder Woman 1984 Plot Leak Explains Steve Trevor's Return? Is This Who Pedro Pascal Is Really Playing in Wonder Woman 1984?